For less cables and more freedom, Seismic Audio has created the SA-U2 wireless microphone system. 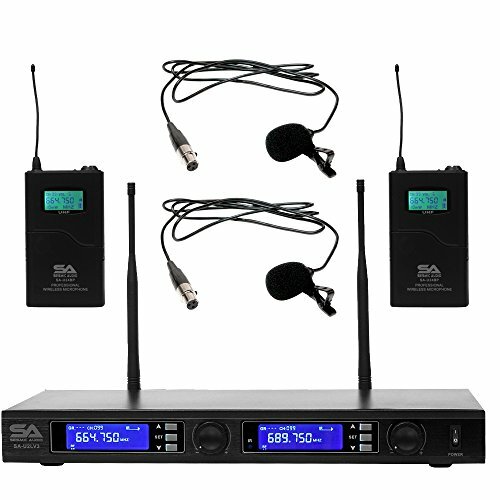 This wireless mic set comes with a 2 channel receiver and 2 lavalier wireless microphones. These systems are able to adapt to your needs. A massive operational range compliments a host of design features intended to provide the very highest audio quality. The SA-U2LV3 offers superior all-around performance for crisp, clean, and balanced vocals. Whether performing onstage or speaking from a podium, the Seismic Audio SA-U2 wireless microphone systems are the right tool for the job.